Eve was an 'eye catcher' the moment she was born. 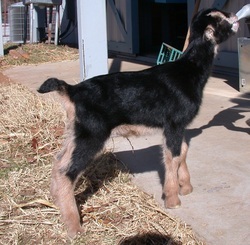 Out of one of our top lamancha does (Xena) she was definitely a keeper. We are VERY please with her. 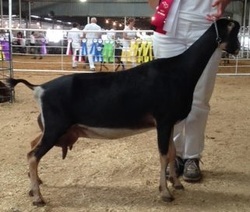 She was 17th in her class at the 2014 ADGA National Show. 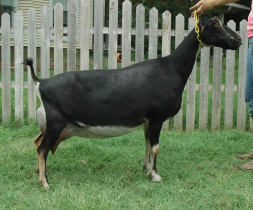 SHe easily finished her CH in 2015 and even went Best Doe in Show over her mother Xena.